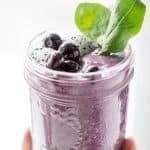 Filled with blueberries, walnuts, and spinach, this blueberry brain food smoothie is the tastiest way to keep your brain healthy and active for years to come! I used to make new smoothies all the time. I have a bunch on my site and they’re all delicious! Then I discovered THE WORLD’S BEST GREEN SMOOTHIE! 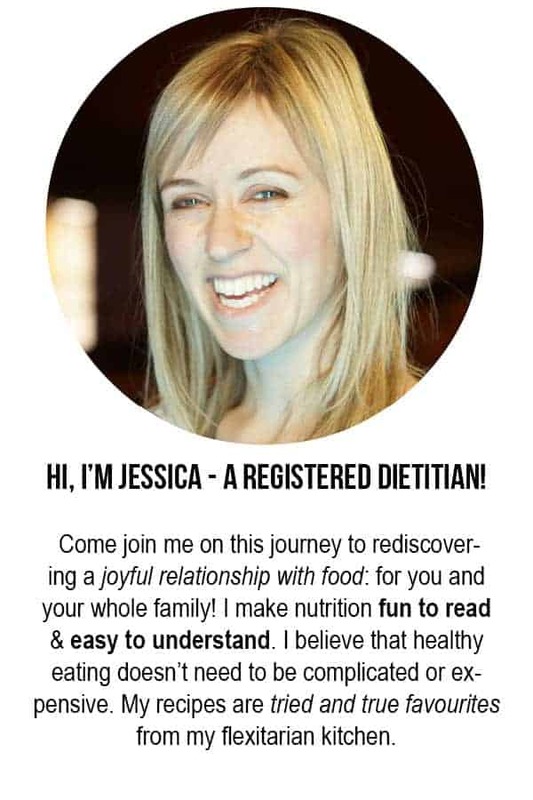 And I must confess… for about a year I had no desire to create any new recipes. All I wanted was this green smoothie! 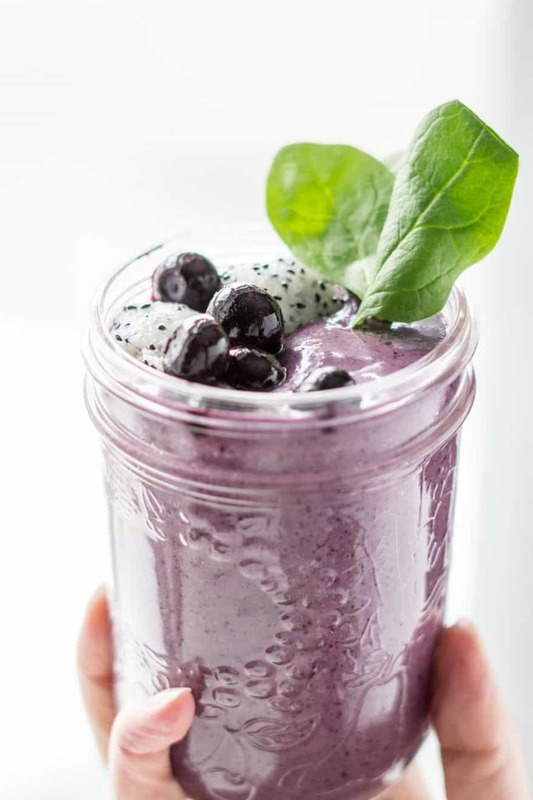 That is until I had a brainwave for this blueberry brain food smoothie! Move over green, purple is the new kid in town! I have a habit (addiction?!) of adding a frozen banana to my smoothies. Bananas make smoothies delectably creamy! It’s so hard to resist! But, I know some people don’t prefer the taste of them, and raw bananas aggravate some people’s stomachs, so I held back and skipped the banana on this one! To my great surprise, I didn’t even miss the banana! In fact, without it, the blueberries and walnuts were able to shine! The smoothie texture was still silky smooth without the banana. I think I see all sorts of bananaless smoothies in my future….. So obviously, we need to talk about why this is brain food! Blueberries, spinach, and walnuts have all been shown to benefit brain health, each in their own unique way. 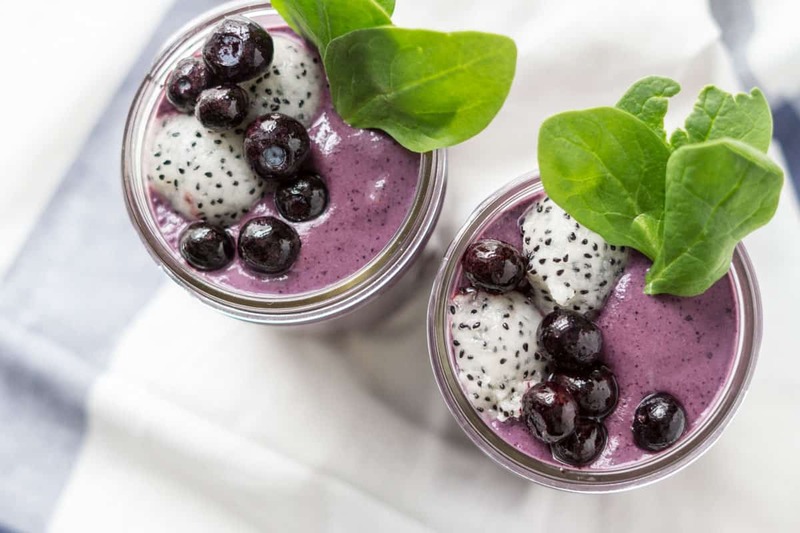 According to Jonny Bowden, PhD, “blueberries are the ultimate memory food.” Blueberries help your neurons (brain cells) talk to each other better. This is probably due to the anti-inflammatory and anti-oxidant effects of the anthocyanins found in the blueberries. Eating spinach every day could keep your brain sharp! One observational study showed an increase in brain preservation of 11 years, among people who ate spinach (or other leafy greens) once or twice a day. The researchers theorize that Vitamin K may play a role. It is well shown in research studies that walnuts are good for cardiovascular health. But take that a step further: when a food is good for your veins and arteries, it’s also good for your brain! When a person’s cardiovascular health declines, they’re at higher risk for strokes and cognitive decline. Place all ingredients in blender in the order listed. Start on low then slowly turn up to high speed. What is that white stuff on top with the black dots? I see that on other pictures of smoothies too. It’s dragon fruit (aka pitaya)! It’s a really pretty fruit but it doesn’t actually have much of a distinct taste so it’s great for garnishes 🙂 I like to try new foods with our son so he chose this one last time we were at the store. What four year old wouldn’t get excited about a food that has ‘dragon’ in the name?! Looks great. Is there a low FODMAP substitute you can think of for the pear?